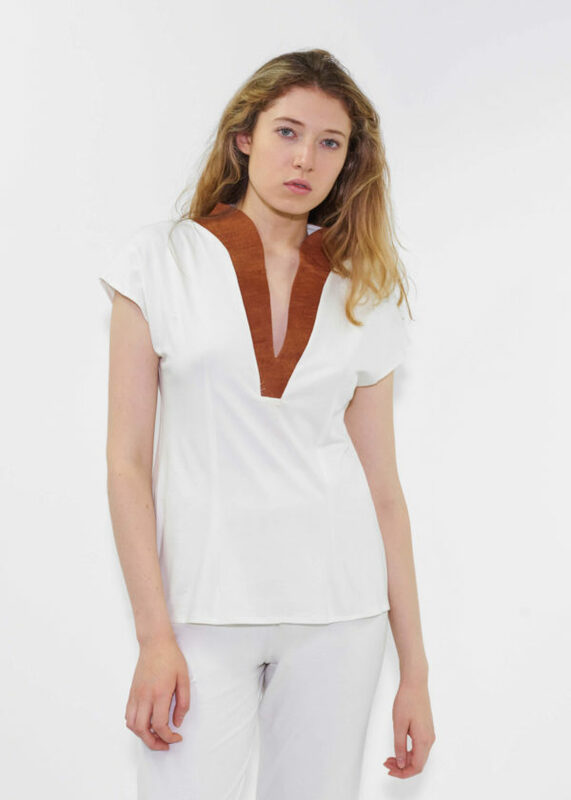 Top in organic cotton ribbed jersey with barkcloth yoke | Comfy, flattering. Fabric: 100% organic cotton ribbed jersey cream. Soft, stretchy. 100% organic barkcloth.